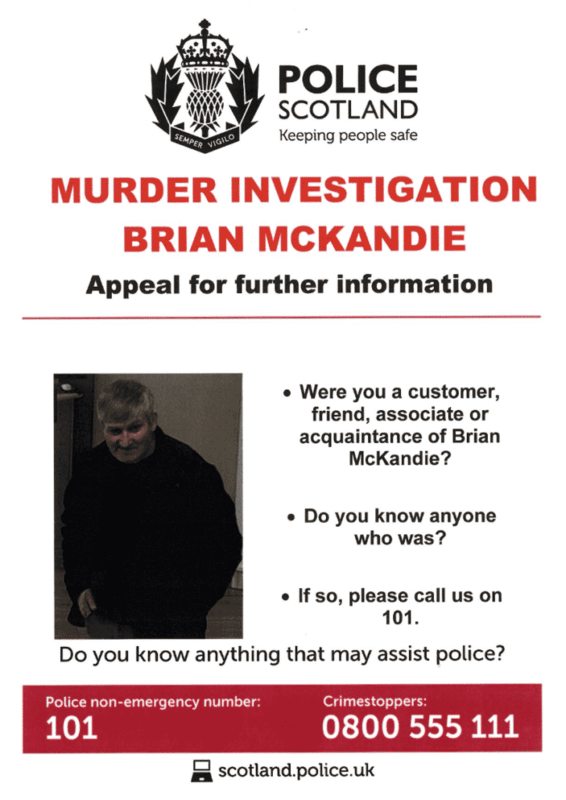 Officers investigating the murder of Rothienorman pensioner Brian McKandie have launched a fresh appeal to urge his customers to make contact as investigations continue. People living in the North East including local businesses, community groups and centres are being asked to share a new poster urging anyone who was in contact with the 67-year-old before his death to come forward. Local policing teams will be issuing posters where possible, however copies will also be available to pick up from local police offices. 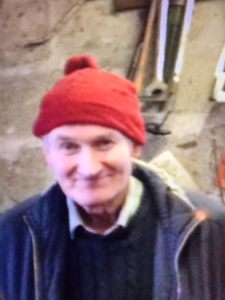 An extensive forensic examination of Brian’s address has resulted in the recovery of forensic evidence and we are keen to identify anyone who knew Brian, was a customer of his or frequented his address for any reason to let us know. If you think you have any information that could assist please contact Police on 101. If you would prefer to remain anonymous please contact Crimestoppers on 0800 555111. The charity has offered a £10,000 reward for information that can lead to conviction. Download a copy of the poster to print and display here.